The instant DreamWorks Animation acquired Classic Media’s stable of animated properties in 2013, it started talking about a Voltron reboot. Given the decade(!) of talk about a live-action Voltron movie, most people generally assumed DreamWorks would also be making a film. Apparently not! 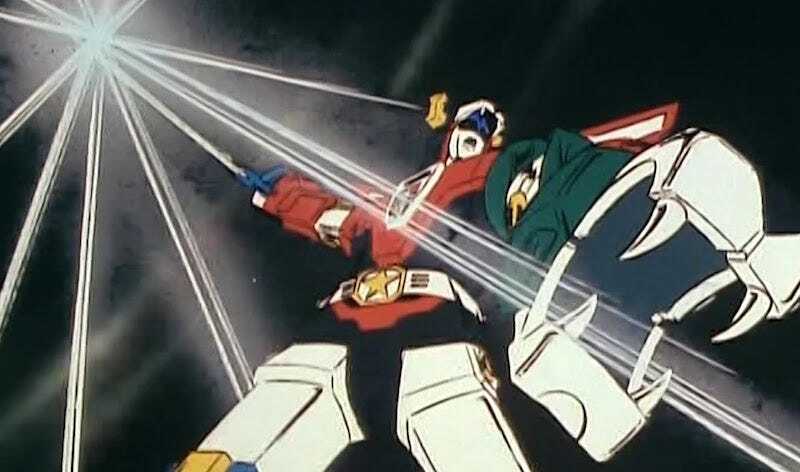 A new deal between DWA and Netflix confirms that the timeless story of five color-coded lion robots and the giant, sword-winging form they join to form will now be an animated series, not a mere movie, theoretically debuting on the streaming service at some point ater this year. It will be joined by its fellow cartoon Trollhunters, which is of course one of director Guillermo del Toro’s 18-bazillion projects he currently has in-progress. Theoretically, the live-action Voltron movie from Relativity Media could still be happening, but someho I doubt those guys want to run afoul of DreamWorks. However, since no one’s brought up the live-ation movie since about 2011, it’s probably a moot point anyways.